Frontier Basement Systems can solve these problems in your attic with our complete air sealing services. By identifying problems areas and sealing them, we can eliminate air flow between the living space and the attic, improving your efficiency. If you have issues with high heating and cooling costs or uncomfortable rooms, call us today to get a free estimate on air sealing services for your home! We provide quality air sealing and attic insulation in Clarksville, Nashville, Jackson and the surrounding areas. Want to start saving money on your heating and cooling costs while enjoying a more comfortable home? Air sealing is the first step towards improved energy efficiency and comfort, and Frontier Basement Systems can provide you with the complete air sealing services you need. Our experts are trained to give you the right solutions for your specific needs to create the best results in your home. Call Frontier Basement Systems today at 1-833-428-2988 or contact us online to get started on air sealing and attic insulation services for your home. 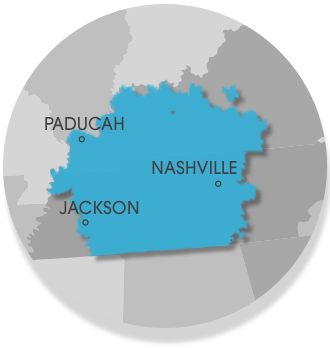 We offer free estimates on all our work in Clarksville, Nashville, Jackson, Owensboro, Murfreesboro, Bowling Green, Philpot, Utica, Fayetteville, Marion and throughout the surrounding areas.